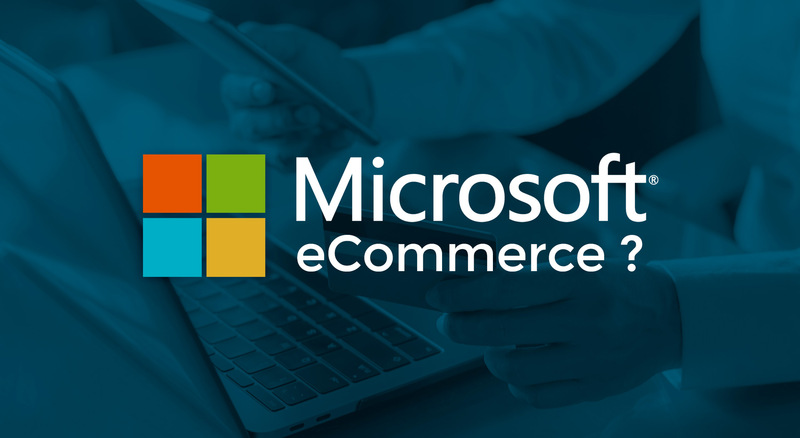 Microsoft could soon become an eCommerce provider and direct competitior of the world’s leading eCommerce platforms including Shopify, Bigcommerce, Magento and more. Microsoft is currently evaluating the development of eCommerce tools for its cloud customers, according to a recent interview with Shelley Bransten, Microsoft’s VP of retail and consumer goods, at The Information. Shelley Bransten confirmed the tech giant was considering “very seriously,” which could open up a new range of services for retail merchants worldwide. Microsoft’s core growth engine is its commercial cloud business, which includes Office 365, its Dynamics CRM (customer relationship management) and sales services, and its Azure cloud infrastructure platform; which stores data and powers cloud-based applications for enterprise customers. Microsoft’s commercial cloud revenues rose 48% annually to $9 billion last quarter and accounted for 31% of its top line. Within that total, its Office 365 Commercial revenues grew 33%, Dynamics 365 climbed 50%, and Azure surged 76%. Azure mainly competes against Amazon Web Services (AWS) in the cloud platform space. Azure generates less revenue than AWS, but it gained a growing list of retail customers. If we do see the green light by Microsoft and the decision to bundle Shopify-like e-commerce services into Azure, it could boost its revenues per customer, widen its position against AWS, and ensure that its cloud business’ fastest-growing segment stays healthy. Furthermore, Microsoft can integrate those services with Dynamics’ sales, marketing, and CRM tools — which would also make it a “one-stop shop” for digitizing a business. It’s an exciting time ahead for Microsoft and we can’t wait to see what unfolds in 2019.